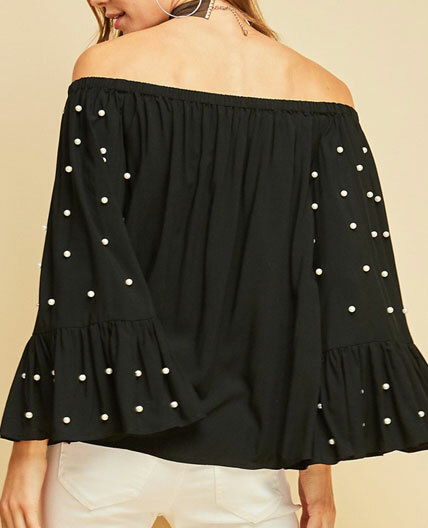 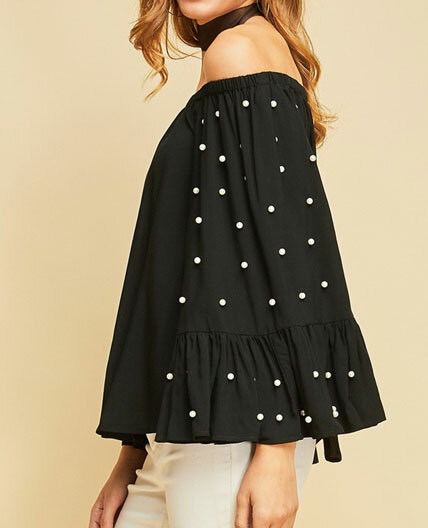 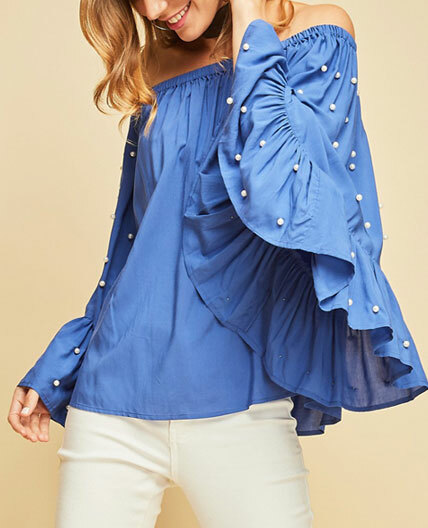 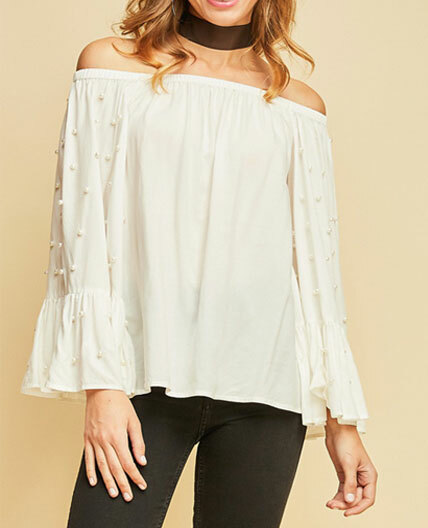 Off the shoulder top with pearl trim bell sleeves. 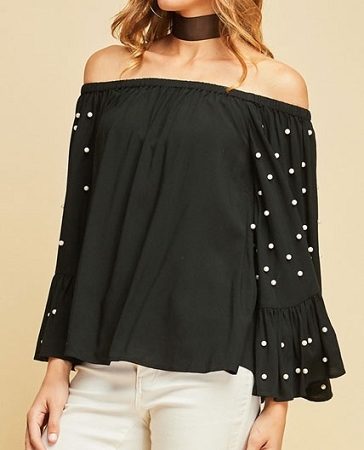 The top comes in a rayon cotton fabric and has elastic around the shoulders. 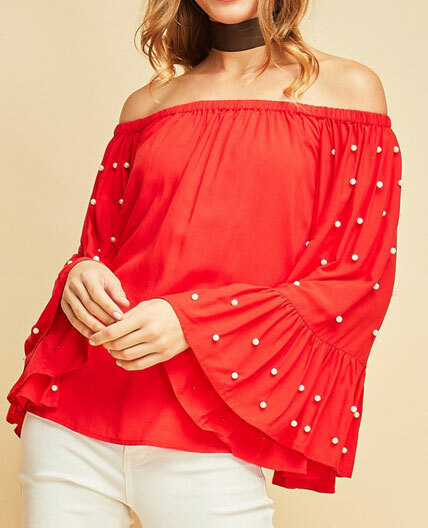 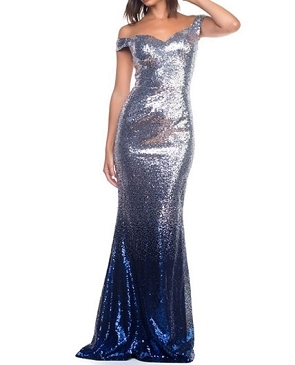 Comes in 4 colors.